Dubai is a great place for anyone who want to experience something different. Whether you visit the glorious city with your friends or take your family with you on the trip to Dubai, you will surely find many things that will make your trip memorable. If you are in Dubai with your family and looking for ideas for tourist attractions you should visit then, you are at the right place. 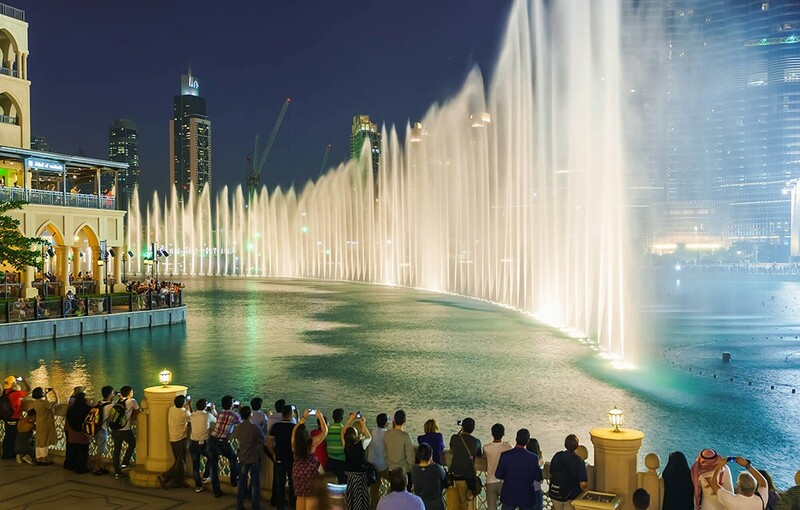 In this article, you will learn about five family attractions you can not afford to miss if you are in dubai with your family. Dubai is hot and temperature in Dubai can reach to uncomfortable levels in hot summer months. If you are not used to extremely high temperature, then it can become very difficult. Thankfully, Dubai have many waterparks, so tourists can beat the heat and have some fun in water. Take adventurous slides and take a dip in water. Splashers children’s play area is well suited for young children. Dubai aquarium and underwater zoo are also great place for children as they see animals and fishes floating in front of them. Ever wondered how would it feels like having a dinner on a cruise? You can experience it in Dubai with your family. Having a dhow cruise dinner in the calm waters of Dubai with your wife and children is an experience you will not forget for the rest of your life. See the sun set and enjoy the beautiful evening in Dubai by spending some time on a cruise. Although, it might cost you much more than other activities, but the extra cost is well worth it. If you want to see the desert in its full glory, head to Dubai. Take a desert safari in Dubai and you will realize that desert is not as boring as you might have initially thought. Dubai offers some of the best desert safari in the world. From dune bashing to quad racing, sandboarding to camping in the desert, enjoying tasty food and drink to spending a night in the desert, you can do all that and much more in the desert. If you want to share the fun with your family, you can rent bicycle for every family member. If you are in Dubai and have not seen Burj Al Khalifa, you have missed out. Seeing Dubai from the top of the world’s tallest building in the world is a sight to behold. Reaching the top floor might not be easy as everyone is looking to reach the top so you should visit the place after rush hours. As you continue to go up, so does the cost you have to incur but the experience your family will have is priceless. There are somethings that words can not do justice to and view from the top of Burj Al Khalifa is one of them. Do you want to escape the hustle and bustle of city life and relax? If yes, then a beach is a great place to visit with your family. Reach the beach early morning and enjoy some sun bath with your family before it becomes crowded. Take a dip in Dubai’s pristine waters and see the white sandy beaches in its full glory. You can find all this on every beach in Dubai. What makes Kite beach special is that it let you fly kites and it is a great fun filled family activity that all your family will thank you for. Adults can head to freshly paved Skate Park and outdoor trampolines to enjoy your kite beach tour. Taking your family to Dubai and visiting some of the places will surely bring a smile on their face. There is something for both adults and children in Dubai, making it a fun filled family activities. You will enjoy your trip much more if you have your kids and wife with you as compared to when you are alone. Which is the family attractions you want to visit when you are in Dubai? Feel free to share it with us in the comments section below.